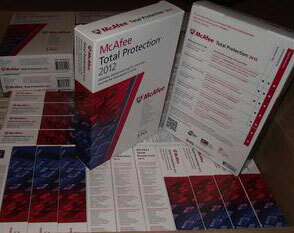 I was using McAfee Anti-Virus for a couple of years but decided not to renew my annual fee and remove the program. I had actually been doing some research into free anti virus programs and decided to go with something else (Microsoft Security Essentials). When I come to remove the McAfee program something happened, I don't know what, and but it meant that I could not install the Microsoft Free Anti Virus program. I am not computer literate. I can use, install and remove computer programs, but I'm pretty much lost and out of my depth after that. I decided to call McAfee Customer Support for help. This is where I started to encounter some issues. Firstly I had to go through several options to get through to the right section. Then I had to wait over 30 minutes before speaking to a representative. I was subjected to some awful Muzak and a message telling me they were experiencing high call volumes, and to go to their website to find out how to troubleshoot my issue myself. I don't think I would be calling them in the first place if I knew how to fix the problem myself! When I was eventually connected to a rep I explained my problem. I was told to try installing the program again. The program said it was was already installed and wouldn't remove it. I tried again as advised and this time it seemed to be uninstalling, but but only got half way through before an error message appeared. Stumped, the rep said they would speak to a colleague as they thought there was a tool they could send me a link to that would cleanly remove McAfee Anti Virus for me. I thanked them but 2 days later I received no e-mail from anyone at McAfee. I called them back and waited 50 minutes this time before being able to speak to a rep. I had to go through the whole thing again as they had no record of my previous call or the action to e-mail me the removal tool link. I asked to speak to someone to complain and I was disconnected!! I called back to complain and spoke to someone who said they would call me back with the removal tool details. Guess what happened. They never called me back!! I called again (waiting 30 minutes this time) and was told the tool the other rep's were talking about wouldn't resolve my problem and I would have to pay $89 to get some professional Services. I gave up at that point and called my son who come and fixed it. I asked him what he did and he said he wiped my machine and re-installed all of my software again. In conclusion I had a bad experience with McAfee Customer Services. I'm sure I'm not the only one with this unfortunate experience. The McAfee Anti Virus program worked well for me (I think) and is a program I recommend if you can afford to pay for it. However the Customer Service I experienced leaves a lot to be desired. Hello Joan. Thank you for your insights into McAfee Customer Service. I'm sorry to hear you had such a bad experience. It appears you are not alone. Looking at some of the Customer Experience discussion sites your story is a familiar one. There are 3 things that stood out for me. In any Business these are simply unacceptable. Actions agreed with the Customer should ALWAYS be followed up. Customers (and Staff of course) are the life blood of any Business. No Customers, no Business. It's quite simple! One of my pet hates is when a Support Department does not record the outcomes and actions of the discussion you have about your problem. As a Customer it is frustrating. Also, as a Service Support Manager and a fellow Representative it is also frustrating. The representative's colleague is unable to help as quickly as they would like, and have to ask you to go through the issue again. The Service Support Manager either has a failing in process, or has incompetent Staff. If they have the time and do not update your logged 'ticket' then I think it is just cause for taking that individual down the capability route or even disciplinary proceeding, with a view to dismissal! I know this sounds harsh but there is simply no excuse for it. Cutting someone off is also unacceptable and the individual concerned should be taken down the disciplinary process. Having said all that, to put some perspective on things I'm going to play devils advocate for a moment. Long waiting times can be infuriating. However, if the call volumes are high and the Staff levels are low, waiting times go up. As a Service Desk Manager in the IT Industry you are monitoring things like call wait times, time rep's spend taking to customers, how many calls they have logged, progressed and resolved, etc. The Customer Service Manager should be reporting this to their superiors with a view to either investing in technology, improving existing products etc. to reduce call levels, or requesting more Staff to cope efficiently with the call volumes. Customers have the right to demand the highest levels of customer service. Your problem is the most important. Right? However, everyone else thinks this too, but the Business will see the bigger picture and evaluate which problems are the biggest overall. This is why some issues are dealt with quickly, and others less so. I hope your next experience is a better one. Thanks you for taking the time to write your own web page. Join in and write your own page! It's easy to do. How? Simply click here to return to McAfee Customer Service.